Update: We’ve added a 6th judge! The post below reflects the addition. In our efforts to make the Exposed DC Photography Show bigger and better for its 8th year and our first year flying solo, we have an exciting announcement for you: We’re awarding cash prizes! The contest will be judged as usual by our team, choosing about 45 winning images to appear in our exhibit at Long View Gallery and our exhibition program. But this year, we’ve asked six prominent D.C. photographers to serve as Special Judges: Lucian Perkins, Jacquelyn Martin, Nancy Walz, Dan Westergren, Jamie Rose, and Susan Sterner. They will study the pool of winners, and each judge will each choose a personal best in show. Those six photographers will receive our special judge’s award and a $100 cash prize. This award is made possible through the generous contributions of the Corcoran College of Art and Design. 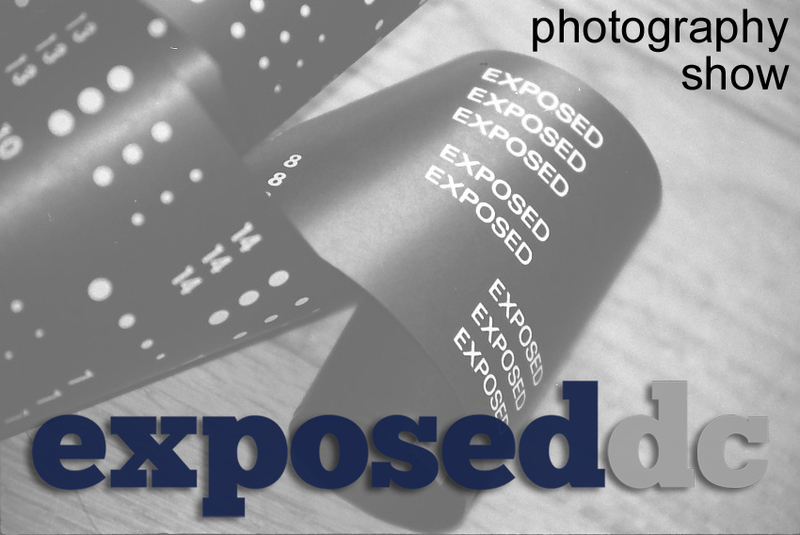 Meet our Exposed DC Special Judges, who may be putting their discerning eyes on your photograph. Get those potential winners entered into our contest by January 8! Lucian Perkins is a two-time Pulitzer Prize winner (1995 and 2000) who worked as a staff photographer for The Washington Post for 27 years. In 1996, his photograph of a boy in war-torn Chechnya was awarded World Press Photo of the Year, and in 1994 he was named Newspaper Photographer of the Year by National Press Photographers Association. Most of his work has been in the United States, but he has also covered wars in the former Yugoslavia, Russia, Israel, Iraq and Afghanistan. Currently, Perkins is an independent photographer living in Washington, D.C.
Jacquelyn Martin is a staff photojournalist with the Associated Press, Washington, D.C. bureau, where she covers a diverse range of topics from the President and Congress to the National Spelling Bee. Taking time for personal projects as well as daily work, she has been honored with awards from the White House News Photographer’s Association and the NPPA. She is President of the Women Photojournalists of Washington (WPOW), a non-profit that educates the public about the work of female photojournalists. Nancy Walz directs photo services at Discovery Communications, where her team produces still photography and multimedia for networks including the Discovery Channel, Animal Planet, TLC and the Oprah Winfrey Network. She has commissioned award-winning work from many of the world’s top photographers, who’ve been honored by Graphis Photo Annuals, Promax and the Lucies International, among others. Nancy previously was a photojournalist and documentary photographer in Seattle, Madrid and Barcelona, and served as staff photographer for Wesleyan University in Middletown, Conn. She has been a judge and portfolio reviewer for a variety of organizations. Dan Westergren, the Director of Photography for National Geographic Traveler, is based in Washington, D.C. where he spends his days looking at pictures of some of the most beautiful places in the world. Since picking up a camera in the 8th grade he has been fascinated with photography and the way photographers create objects of beauty from the world at large. He has turned this fascination into a lifetime obsession of constantly photographing everything around him. He’s been lucky to photograph for the pages of National Geographic Traveler amazing places like the summit of Mt. Blanc and the North Pole. But often his subjects are just the neighborhood dogs or his kids, who he will drag to the Potomac river and make them stand waist deep in the cold water waiting for the light to be “just right.” He is also an experienced teacher, having led workshops for National Geographic Expeditions in Santa Fe, Tuscany, Baja, Antarctica, The Arctic Ocean, Washington, D.C., and the Galapagos Islands. Jamie Rose is a senior partner in Momenta Group LLC. She has worked as an international photojournalist on five continents, won awards and grants for her documentary photography and has been a contract photographer with some of the world’s largest nonprofit organizations. In 2011, Jamie was awarded the United Nations’ IPC’s Photographers Leadership Award. She has also won numerous awards and grants for her documentary and nonprofit work including grants from The Alexia Foundation, and the prestigious White House News Photographers’ Association Project Grant for her portfolio of nonprofit work from Africa. Jamie is considered an expert in nonprofit photography business development. Susan Sterner, Chair of the Master of Arts program in New Media Photojournalism at the Corcoran College of Art and Design, began teaching and coordinating photojournalism courses in the College’s Photography Department in 2006. She started her career as a freelance photojournalist with national and international publications while based in New Orleans, Louisiana. As a staff photographer for the Associated Press, she was based in Mississippi and then California, covering international and domestic issues that included immigration, child labor, and families in poverty. In 1998, Sterner received a two-year fellowship with the Institute of Current World Affairs to photograph and write about women’s lives in Brazil. She then became a White House photographer under George W. Bush, documenting the official and behind-the-scenes life of the presidency until 2005, after which she joined the Corcoran. Her work continues to be centered on themes addressing immigration, health care, and human rights. Sterner is the recipient of the Corcoran College’s 2013 Betty Foster Outstanding Teaching Award and 2010 Outstanding Creative Research Award. She earned an MA in Latin American studies from Vanderbilt University and a BA from Emory University in international studies and cultural anthropology.